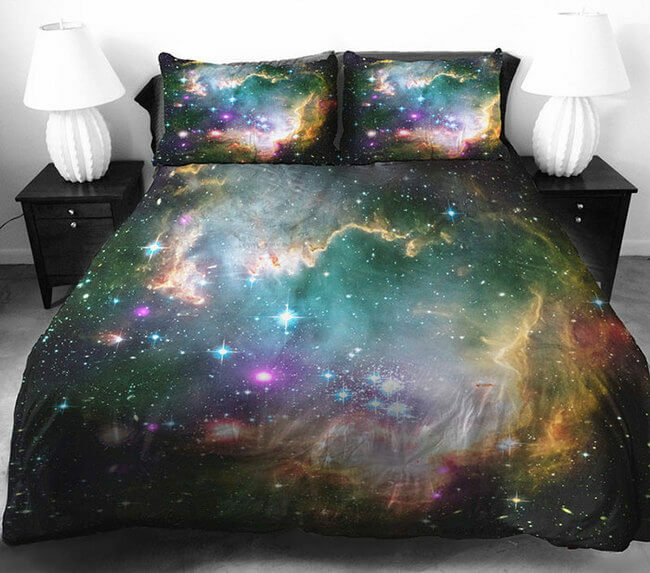 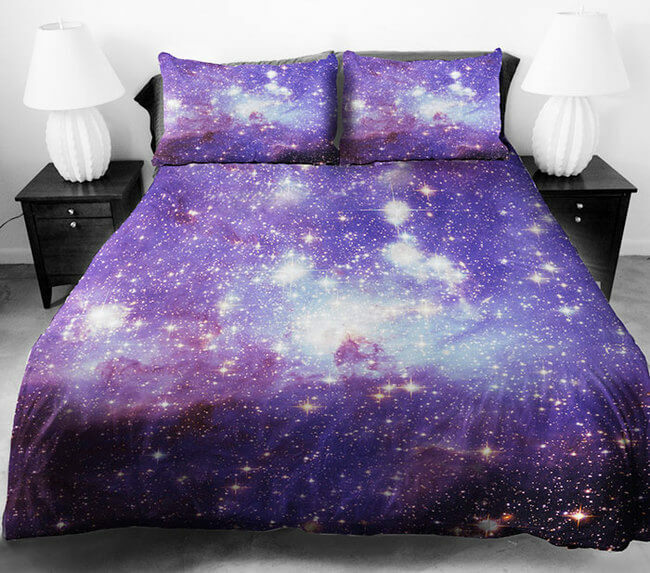 Jail Betray, a bedding designer has organized a stellarly gorgeous series of galaxy duvet covers or galaxy bedding if you will that will make you feel like you’re sleeping next to millions of stars. 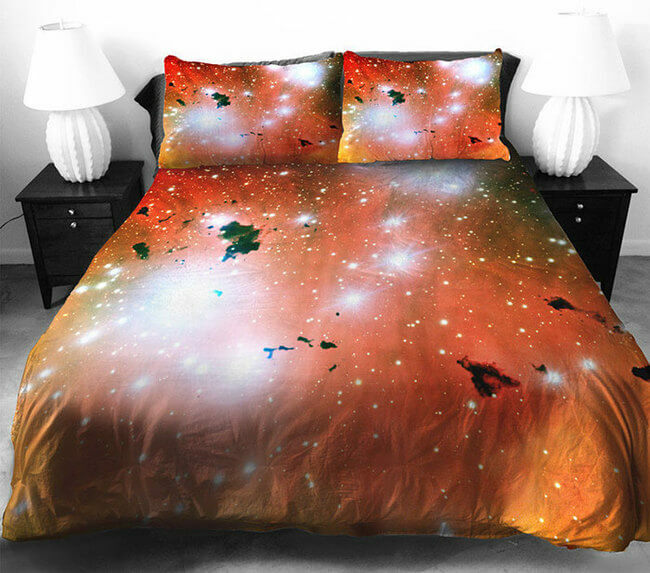 Each of the galaxy bedding covers is printed with a large, high definition print of a mystical moon, twirling galaxy, or cloudy gases. 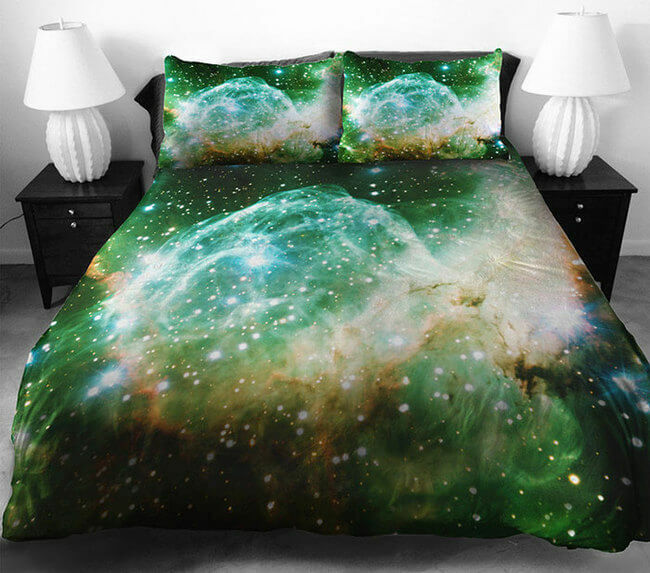 All of the unique designs are available on this Etsy shop. 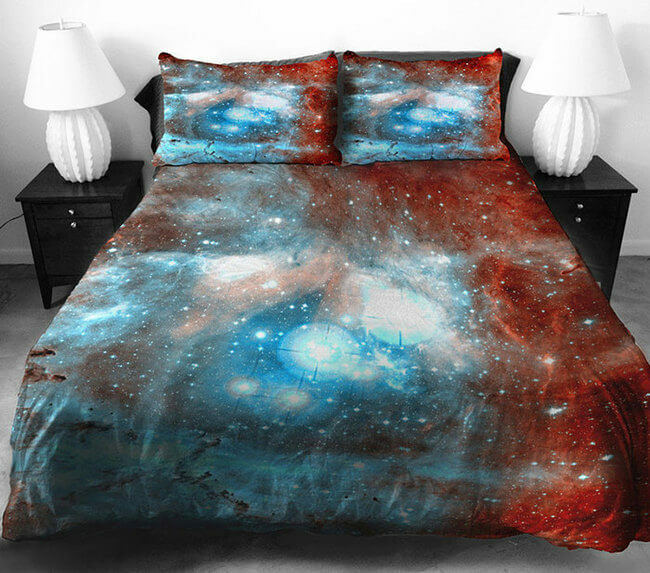 The shop currently displays nine different designs with the prices set on $148 – $228 depending on your bed size for each. 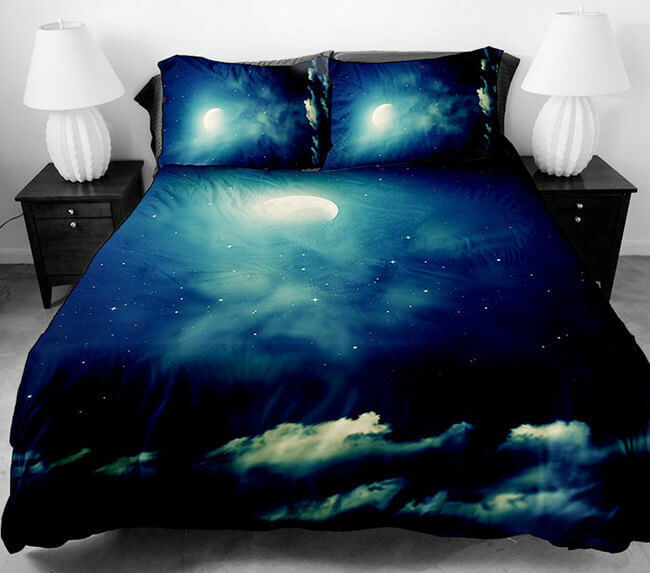 You can also have a custom order made just for you. 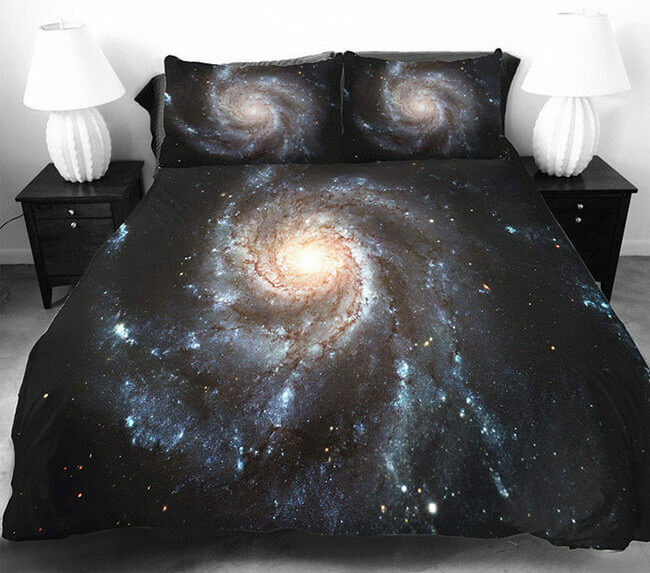 After sleeping on these beautiful sheets, we can guarantee you won’t want to go back to your regular old sheets. 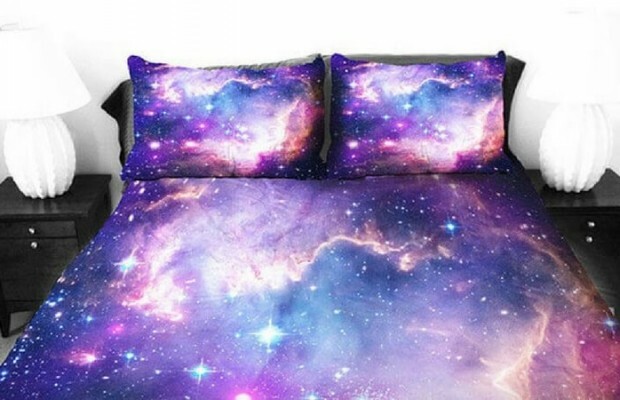 Betray has nine different designs on display for his galaxy bedding series, all of which including a duvet cover, two pillow cases and a bed sheet. A very ideal present to your astronomy or astrology loving friends or even just for you, treat yourself with a new bedroom set that we know you’ll love.